Jordan Lloyd and Jeff Schroeder. Photo courtesy of Jeff. Jeff Schroeder and Jordan Lloyd instantly had chemistry when they met on the set of Big Brother in 2009. Building a strong friendship first, they formed an alliance on the show and became huge targets in the eyes of their competitors. “Being friends was our only option. We knew there were some romantic feelings, but we didn’t express them because we wanted to win,” said Schroeder. After they were eliminated from the race, Schroeder and Lloyd returned to their separate homes in Chicago, Illinois and Charlotte, North Carolina respectively, pursuing a long-distance relationship. They tried to see each other two or three times a month and felt that, by putting forth an equal amount of effort, they could make their relationship work. “Having complete trust in one another made us worry less about where we were going and who we were seeing,” he added. After dating and living apart for two and a half years, the couple moved in together in a small apartment in Los Angeles. By taking this next step, they discovered that they were complete opposites, not only competitively but also with food and television. “The way we eat is totally different. I like fried food, and Jeff likes seafood,” Lloyd said of her man. As for their varying tastes in television, the DVR is a huge help. The adorable pair enjoys watching TV together, even though they like different shows. However, they do share CupidsPulse.com’s love of The Bachelor and have been hooked since the first episode. “Nobody ends up getting married, but we can’t stop watching,” she said. “We think Tierra is so dramatic and we just can’t wait to see what happens,” Schroeder added. With their relationship going strong, the Big Brother couple will be celebrating Valentine’s Day in a really special way. They’re both participating in DietBet, a nationwide dieting challenge where they promised to shed pounds as their gift to each other. Over 367 players are a part of the program, which will end just before the romantic holiday, and vying to win a portion of the $18,350 pot of prize money; together, the participants have already lost a collective 1,170 pounds. Whoever reaches the goal of dropping four percent of his or her weight will split the pot. Schroeder and Lloyd believe that DietBet is a great motivator because, with so many people watching and supporting you, you can’t fail. To meet their goals, they often do yoga together. “I thought yoga was just stretching, but it’s totally different. I didn’t know it would help me so much,” he revealed. While he also goes to the gym to lose weight, he inspired his girlfriend to run along the beach to get fit. To stay healthy, the pair also goes food shopping together. They buy a lot of fruit and like to try new recipes to encourage each other’s healthy eating habits. But if someone brings cheese in the house, all bets are off! They’ve both found success with the program, losing around 10 pounds each. They are confident that they are going to win DietBet, and if they do, they will be giving their earnings to charity. Next up for the active couple? Schroeder will be developing some projects for the summer, while Lloyd plans to return to school to get her cosmetology license. And, of course, they’ll be tuning in to see who wins Sean Lowe’s heart on The Bachelor! 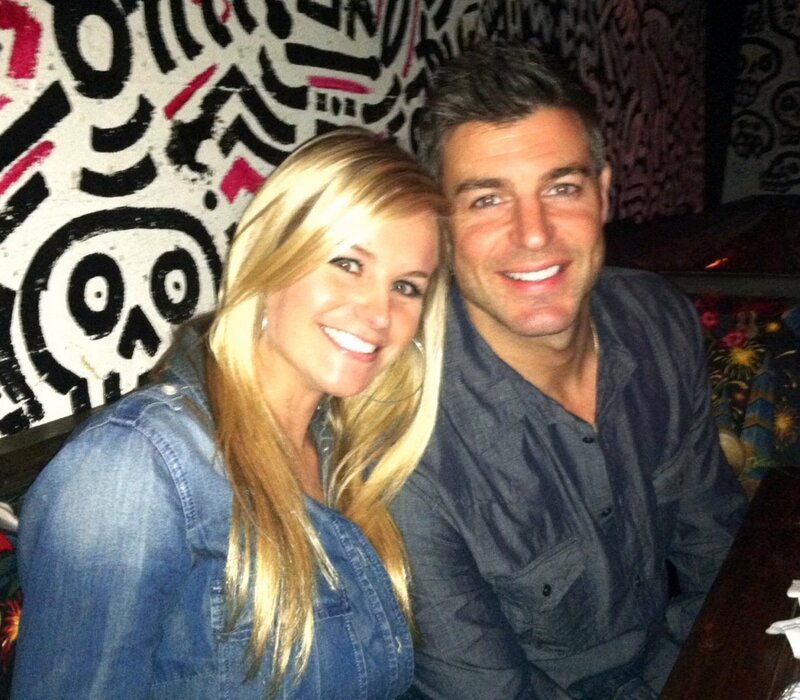 Also follow them on Twitter: @jeffschroeder23 and @BBJordanLloyd.